Some people appreciate the look of the white quartzite as it is said that some of these quartzites look very much like Carrera marble, with the advantage of quartzite being far more durable and easier to maintain. There are several light to white quartzites, some of which have natural attractive inclusions or veins in subtle brown, red, yellow or green hues. Very desirable is white quartzite in its purest form. There is a limited supply of pure white quartzite as it is more rare. Many people opt for a beautiful piece of granite slab for their counters, but often the finer structures and more subtle look of natural quartzite, especially the whiter ones, attract desire and attention. Yes, quartzite is stronger than granite, but not by much. When trying to assess the hardness of minerals the Mohs scale is used. The Mohs scale is a measurement that goes from 1 (not strong) – 10 (very strong) and it is largely used to see how durable certain minerals can be. On the Mohs scale quartzite comes in at 7 and granite comes in at 6 – 6.5. Not much of a difference and there are other worries when you are considering quartzite. Some white stone countertops are known to etch due to acids from wine, vinegar or citrus fruits coming into contact with the surface. This etching can happen as well due to certain cleaners that contain alcohol or other acids. The etching can be less obvious if the surface of the stone has a honed matte or brushed finish, instead of the polish finish. When a stone is honed, etching may become less noticeable. Like granite countertops, you will need to seal the white quartzite and dolomite countertops once a year. Some white dolomites may still gain a slight patina over time, this is due to their natural components as they are slightly different from quartzites. White quartzite countertops may stain if not sealed properly. You may want to do a test on a sample piece from the countertops you are considering purchasing to see how stain resistant the material really is. With that said, once you seal the quartzite it will not stain, but beware if you do not reseal your countertops once a year, because then you may get some staining. There are some products on the market to get stains out if they would occur, but it can be hard to get it completely out. Therefore, preventing staining is far better than having to find a remedy in case a stain appears. The cost of natural quartzites in general is higher than most granites. This is due to the hardness of the material which makes processing a block into slabs more difficult, the machinery wears out quicker, and longer time is needed to process a block compared to granite or other stone types. Additionally, and specifically with white quartzites, not nearly every block being excavated out of a quarry is consistent enough in quality and vein distribution to be suitable for countertop material. When selecting your natural quartzite, please make sure to discuss the correct application you desire for the stone with both your vendor / supplier as well as with your installer. It is important to make sure you select a stone that meets your requirements and expectations regarding use and maintenance. Buying your kitchen countertops is a big decision and you want to make sure you pick the countertop you will love for years to come. If you are able to find pure white quartzite countertops you are in store for a beautiful looking kitchen or bathroom that will last the test of time. If you are still on the fence about the quartzite, keep granite countertops on the top of your list. You are now armed with all the information needed to pick the proper countertop for your project. There are beautiful pieces of white quartzite, subtle to boldly veined quartzites, and unique pieces of granite slabs as well. Both are beautiful, and both can give your kitchen or bathroom an elegant look. At Marble & Granite Supply we have been at the forefront of bring new and unique quartzites in various surface finished over the past 12 years. We have a wide selection of white colors ranging from pure white to warmer or cooler white tones, solid or translucent, with subtle or bolder veining. Especially in white hues we stock over 10 different colors. Translucent material with pure quartz crystals, in very light to warm white color. 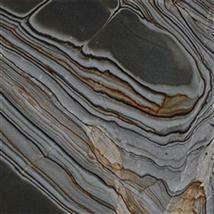 Some veining or other color tones could be naturally included. This material can be backlit. A warm creamy light subtle look with soothing veins. White Macaubas quartzite is very fine in structure, comes in cooler white tones, and often has linear vein pattern.